Do you love using Adobe Photoshop or playing around with photos and graphics? Are you a graphic designer who regularly works on creative images? In either case, there is a strong likelihood that you may prefer to create websites which have stunning looks and the only thing that could stop you is a lack of programming skills. It is obvious that you would not want to spend time on coding, something which may not necessarily be your forte. Instead, you would want to spend quality time on designing the look and feel of your site. Now, you need not worry about spending additional bucks to hire a website developer to assist you in building the site of your choice. You can rather use a website builder like Adobe Muse to help you design a great looking website with no coding skills. Yes, that’s right! The Adobe Muse website builder tool is not the typical drag-and-drop builder, which you may have read about or used previously. It is rather targeted specifically for graphic designers and creative people who have previously worked with Photoshop or InDesign. In short, professional designers will find Adobe Muse to be their ideal companion for creation and designing websites from scratch. Being associated with the brand name Adobe already gives this website building platform a unique edge. In this article, we will discuss the various Adobe Muse features, its website editor and its themes, the pros and cons of Adobe Muse as well as its plans. The objective is to provide you with an honest review of this site builder and help you make a decision whether this tool is the right site builder for your requirements. This web design software has been made available to you by Adobe Systems which is an American multinational software company. It is available for use through Adobe Creative Cloud which is a Software as a Service (SaaS) offering from Adobe Systems. The Adobe Muse web design program tool was released around 2014 and the official site for Adobe Muse can be visited here. The aim of this tool has always been to enable professional designers to build websites without having to write a single piece of code. It is available for licensed subscription over the internet. If you are someone who has not used any products like Adobe Photoshop which are pretty similar in interface to Adobe Muse, you are bound to get stuck during the initial stages. This is where a strong customer support team proves priceless. Adobe offers you access to a wide variety of videos and tutorials that precisely explain the various steps involved in website creation using this tool. 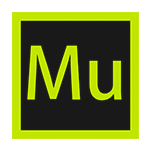 A pretty large community of designers has also been built for quick adaptation to Adobe Muse. Based on the package or plan that you choose for this website builder, you can avail telephone support, chat and more. To learn more about the usage of Adobe Muse and to get answers for commonly asked queries, you can even access the forum discussions, webinars and so on. So, even if you are completely new to such a tool, you will find it relatively easy to get accustomed to using it with the help of a reliable knowledgebase and strong customer support staff. If you have used Adobe Photoshop previously, you will be delighted to learn about the similarity of its user interface with that of Adobe Muse. It will help you start using Adobe Muse with the utmost of ease. In short, professional designers with prior experience of using any related Adobe products or graphics software will find the user interface of Adobe Muse really convenient and intuitive. For others, it may take some time to get used to this system. You do not get any ready-to-use templates or themes with Adobe Muse. You are provided with a blank canvas, which enables you to design your website from scratch. It literally means that you get everything of your choice whether it is the buttons, the header and so on. However, it does prove to be a burden for you, if you are not that into graphic designing. However, you may be delighted to learn that many Adobe Muse compatible templates have been created and are sold by third-party designers. In fact, you can check out the top template providers on the Adobe Muse Resources page and select any ready-to-use templates for your site. You can start your website design with the Master page. On this page, you can easily place elements, such as your logos, the navigation and the footer, which you need on all pages of your site. Such a provision of the Master page makes it really easy to resolve any common problems across your site’s pages. You can then complete the design of your pages by simply dragging and dropping the relevant elements (text, images, boxes, slideshows and so on). You will notice that there is no pre-set structure available for your pages and you have complete freedom to drop the elements at any location of your choice. You are also provided with a form builder to create various types of forms as per your needs. Once the page design is done, you may choose to start adding widgets or third-party extensions from the list of free ones seen in the Adobe Muse site editor. Using Adobe Muse, it is possible for you to customise the blocks in different ways. You may set the opacity, border radius and border sizes; add drop-shadows; and so on. If you like to play with a variety of fonts, you will be pleased with Adobe Muse because it integrates with the Typekit Adobe product. This empowers you with access to a large library of fonts from which you can make your selection of web fonts for your site. A responsive or mobile version of your site is not created automatically with Adobe Muse at the moment. As the webpages are not structured while you prepare them from scratch, the resulting website is not responsive. This site building platform requires you to build different versions of your site for different devices, for example desktop PC, smartphone and tablet. However, if you check out the official site of Adobe Muse, you will learn that they are soon coming out with the responsive web design feature. Till then, you cannot get your mobile-friendly website with the same ease as is possible with some other popular site builders, such as Weebly, Wix or Squarespace. Some Adobe Muse third-party widgets enable you to start selling products online by adding an online store to your existing website. They also allow you to integrate and style a blog from any popular blog service, including Tumblr or WordPress, to add photo album carousels and so on. This tool also offers support for right-to-left languages, for example, Arabic and Hebrew, for which you can now create corresponding text blocks or pages. There is an additional “text synchronisation” feature which empowers you to get the same text changes implemented to all versions of your website simultaneously. You need not edit text for each version separately for synchronising these changes. It is furthermore possible for you to download this Adobe Muse site builder. In other words, Adobe Muse serves as an effective offline website builder. You also get the flexibility to upload your website anywhere, although a few features may not work as desired. To get all the features, you can upload your designed website using Adobe Muse to Adobe Business Catalyst (at extra costs). You may claim “I am not an Adobe Creative Cloud user, then how can I use this tool?” You need not worry, as you can still download it for free and use it for a 30-day free trial period. Once you decide to go live with your website on a platform, you may either go for Adobe hosting or any other third-party hosting services. It offers a great design toolkit to experiment with the look of your site. You can basically draw any element directly without having to only upload ready elements like you have to do with other well-known site builders, such as Weebly or Wix. This tool allows you to export the website that you have created using it. This is a great feature to have, especially for professional designers. You get a pretty long free trial period of 30 days to check out your comfort level with using the Adobe Muse site building software. You need not always rely on having an internet connection to build your site using this offline site building tool. For people who are not graphic designers and who have never used products like Photoshop or InDesign, it takes a while to get used to the interface offered by Adobe Muse for website designing. The webpages you design using this tool do not have any pre-defined structure for reference. If you are a total newbie, this may pose problems, for example overlapping of existing elements, when you add any extra elements (say lines of text) after you have finished your page design. The toolbar that is visible on the Adobe Muse editor is cluttered with a variety of options which are likely to confuse a novice website designer. You may find it difficult to identify your starting point for building the site as too many options seem overwhelming. The lack of automatic mobile-friendly site generation capability is a major handicap in this age when giants like Google determine a site’s rank on the basis of such features. The fact that Adobe Muse is specifically aimed at professional designers seems apparent when you go through the variety of design-based features offered by this tool. If you have the similar experience with tools as a graphic designer, then you will have fun designing quality websites using this site builder. You will also get the complete freedom to let your creativity take over while designing the site from scratch. However, if you are someone who has never handled image editing or graphics-based tools, then you may or may not wish to use Adobe Muse as your preferred site builder. We hope that the above review of Adobe Muse helps you decide whether it can prove to be an ideal website builder for you. Do you have any questions or points to add here? Please feel free to leave your comments below and thanks for reading! How does Adobe Muse Rank? Why not give Adobe Muse a go!